Crime is an issue that is once again on the rise, and from our experiences, is an issue that is coming up more and more on the doorstep. 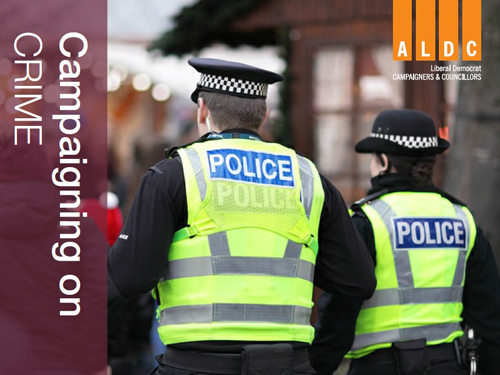 As part of our campaigning advice, we are relaunching an updated campaigning on crime pack here with suggested advice on what you should be campaigning on locally over the next few months. We are really keen to have your feedback on the pack. Please let Claire Halliwell know if you have used it and if there’s any pack ideas or topics that you’d like to see for future publications. You can email me directly at claire.halliwell@aldc.org.